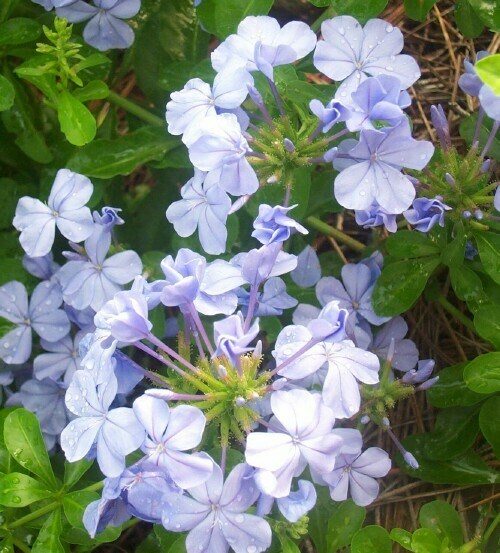 An annual plant with sky blue flowers in long tubes borne in rounded terminal clusters. Blooms all season. Prefers light sandy soils with good drainage. Full sun. Prune to keep plant bushy.